Frank is a partner in Wiggin & Dana's Corporate Practice Department and Chair of the Private Equity and Emerging Companies Practice Group and Co-Chair of the firm's Clean Technology Practice Group. 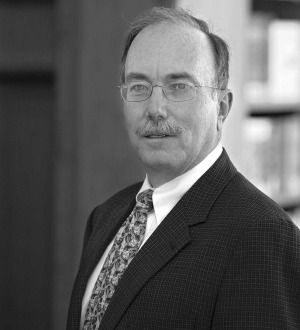 He has over 30 years of experience in corporate, finance and securities law. His practice focuses on representing venture capital investors and emerging growth companies in capital formation, mergers and acquisitions, public offerings, joint ventures, strategic alliances, licensing, research and development, corporate governance and related matters. He regularly counsels institutional clients on corporate transactions such as mergers and acquisition, spin-offs and corporate ventures. Representative transactions include the sale of a wireless systems company to Cisco Systems, Inc., the sale of a fiberoptics switching company to Sycamore Networks, representing companies in venture capital financings ranging in size up to $100 million, representation of a major financial services company in an equity joint venture, and the merger of a client's oil and gas metering business with Expro Group for $60.5 million and a restructuring and spin-off to the client's stockholders of its other business lines. Frank's experience, which includes six years in the General Counsel's office of General Electric Company, where he was also General Counsel to General Electric Venture Capital Corporation, gives him a unique background in the venture capital process and in corporate ventures. In honoring Frank with its "Distinguished Service Award," Connecticut Innovations, Inc. described him as "a driving force in the growth of high technology in Connecticut." Frank is a Director and past Chairman of the Connecticut Venture Group and a founder of the central Connecticut chapter. He was a co-founder of the Connecticut Technology Council, where he is a Board and Executive Committee member and Chair of the CTC's Public Policy Commitee, an Executive Committee member of Connecticut United for Research Excellence (CURE), and is a co-founder of the MIT Enterprise Forum of Connecticut. He was Chairman of "Crossroads," a regional venture fair, for 2001 and 2002. Frank is a founder and member of the Board of Directors of the IP Factory, a not-for-profit focused on commercializing technologies developed by large companies. He was a member of the Technology Transfer Advisory Board of The Governor's Council on Economic Competitiveness and the Connecticut Academy of Science and Engineering Seed Money Study Committee. He was a member of the UCONN President's Advisory Committee on Technology Transfer. Frank has the distinctions of being chosen by The Best Lawyers of America as a leading corporate lawyer, and by Chambers USA as one of the leading corporate/M&A lawyers in Connecticut. A frequent lecturer, Frank regularly addresses legal and business groups regarding venture capital finance, public offerings, corporate governance, business strategy, licensing, strategic alliances and other matters relating to the growth and development of emerging companies.